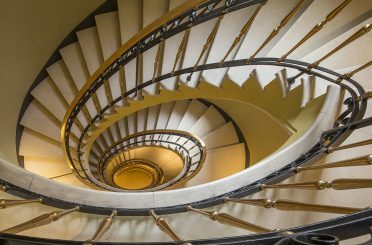 Donald Insall Associates has acted as historic buildings advisor to The Crown Estate for major projects on Regent Street since 2002. 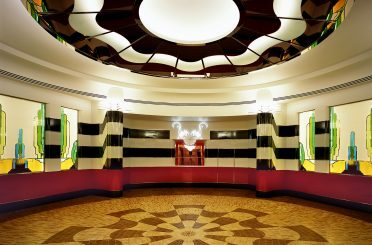 Regent Street is a Conservation Area and all of the buildings along it are listed; however, as the leases of the 1920s Art Deco rebuilding began to fall in the building fabric and shopping quality had declined. 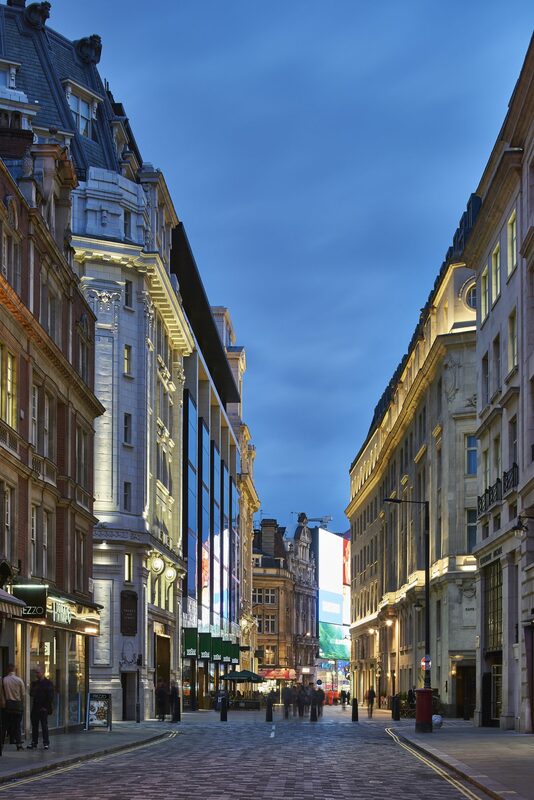 The Crown Estate resolved to take a ‘once in a lifetime’ review of the street with the aim of revitalising it. Our challenge was to balance the commercial needs of real estate with the needs of society to ensure that significant heritage was protected. We undertook a Conservation Plan which identified where significant historic fabric had survived and where opportunities existed for improvements through research and site-based surveys. Completed in 2003, it remains one of the largest such documents for a single area of real estate in the UK. 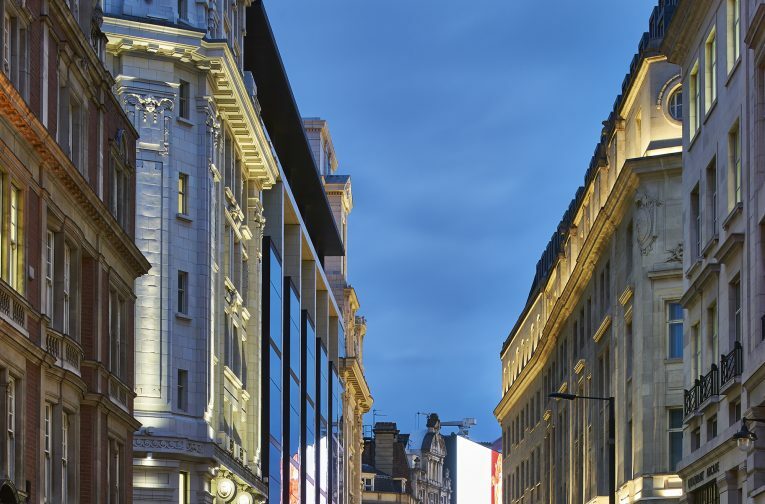 We have subsequently advised on all major projects on Regent Street, providing architectural services for award-winning projects such as Hotel Café Royal and Quadrant 3.